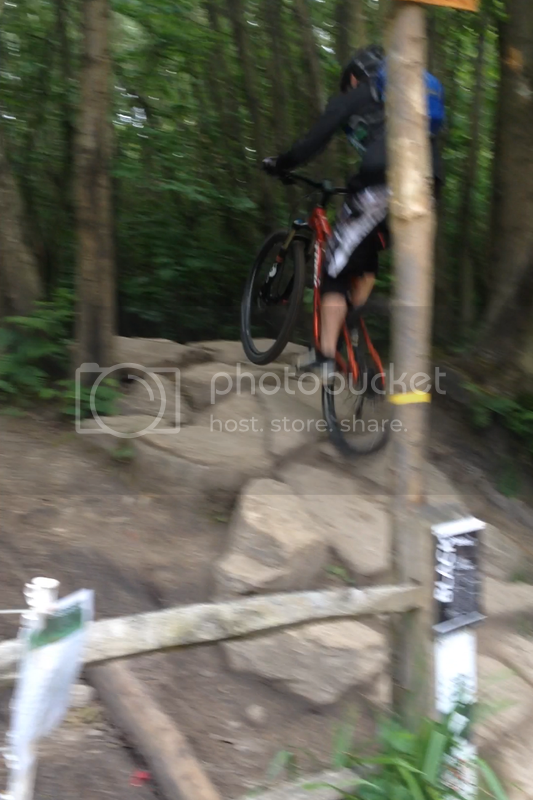 Managed to get up the entrance to Bedgebury's Black Run today!!! Only a year since I ended up scarred for life and my mate broke 3 ribs trying it, I finally got the bottle to try it and nailed it! [Youtube]http://www.youtube.com/watch?v=DXlrlfgMf9Y[/Youtube] Also made it over the big rock garden too with no dabs ... unfortunately on my second attempt I showed that nothing good comes from the phrase "grab my camera and record this!" Good going there buddy, have seen many a ridercoming off on that up slope, from novices to full veterans that are good to ride anything. Can be a tricky little blighter. Someone told me there have been some changes and the black is now red? Lee Gee Wrote: Someone told me there have been some changes and the black is now red? Oh yeah, you can see in his first vid that the sign is now RED. It was never a black, it's barely a red lol. Good work Jon, they are both tough sections. But I agree with Andy ... In my limited (probably less than anyone else here) experience of other trail centres... As much as I love riding there, nothing at Bedgebury really should be signed up as black. There have been some recent changes though, the berms in Holby have been smoothed out and built up. Also the "Not so pointless anymore" run looks to be getting some official treatment and is getting a new entrance just south of the "Pointless" entrance. i was talking about the sign above the black one made by the BOARS on bikes which is red. nothing at bedgebury should be black graded.